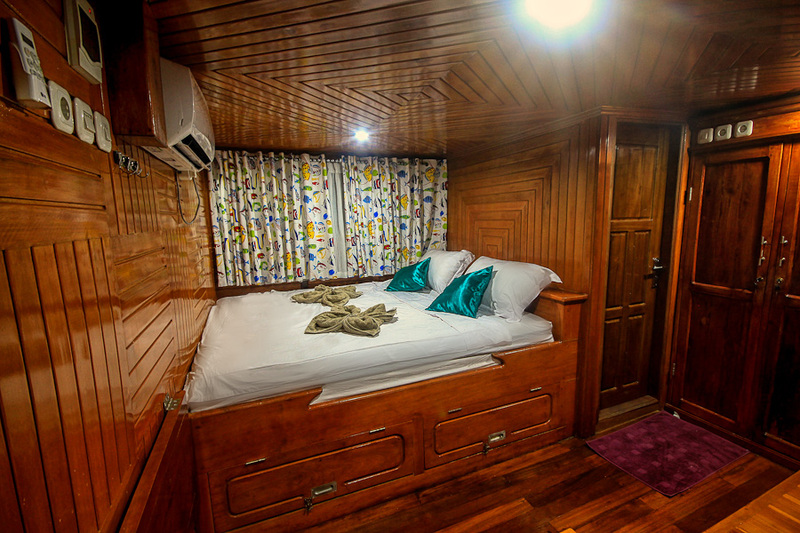 Lady Denok liveaboard Indonesia - Book now ! The Lady Denok is a 28 meter Phinisi schooner that was created and custom crafted by the Konjo who are the world-renowned master boat builders in Tana Beru, South Sulawesi. Her maiden voyage was in January 2016. She is equipped with the latest in marine technology and safety features. 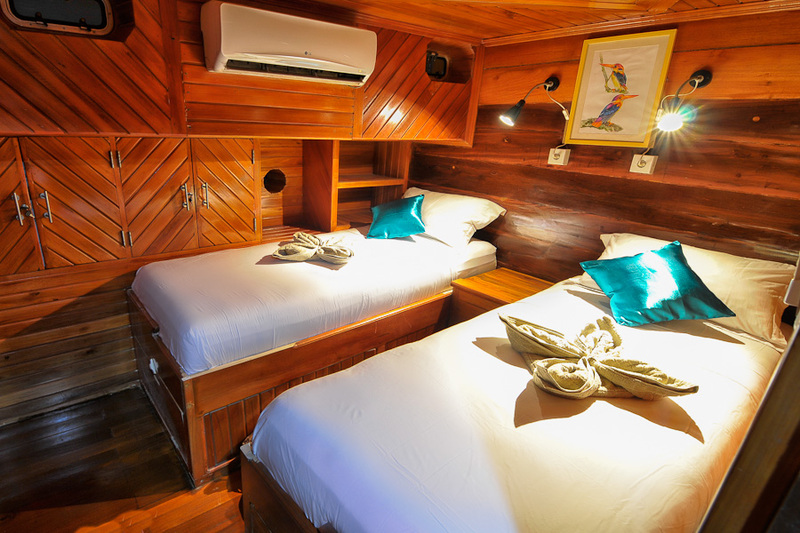 The Lady Denok is set up to give you the best liveaboard experience in this part of the world. 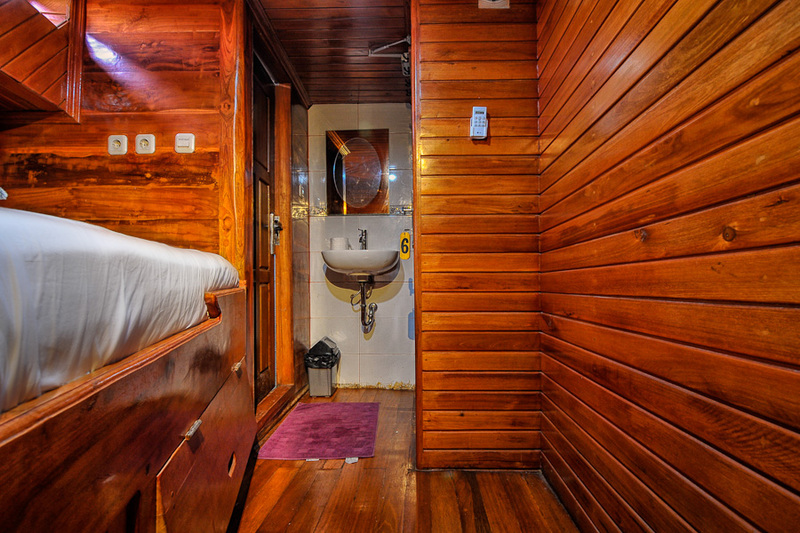 From her stern to her bow she is ready to pamper 12 guests in her 7 cabins, all of which have ensuite private bathroom with portholes, hot and cold water and individually controlled air conditioning. This Lady is elegant in every way but don’t underestimate her power. She has a Yanmar 350 Horsepower Engine and is powered by 2x 33KVA Yanmar Generators. Lady Denok is ready to give you an unforgettable experience of adventure in a plush and safe environment as you explore the pristine islands of the Indonesia archipelago. The certified and professionally trained crew are willing and able to ensure you a safe and comfortable voyage through indonesia’s tropical island paradise. 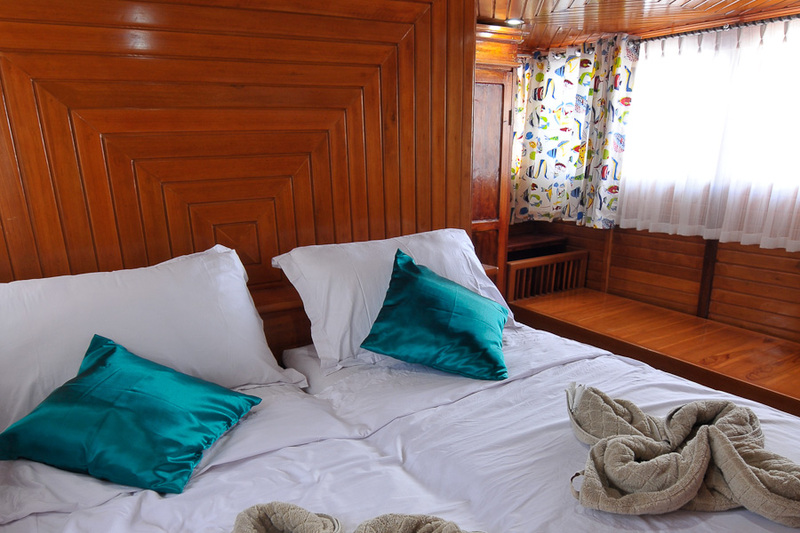 And from the galley you will be catered to by our chef as he shows you his art to keep you healthy and strong throughout the cruise with delicious Indonesian, Asian and European cuisine. 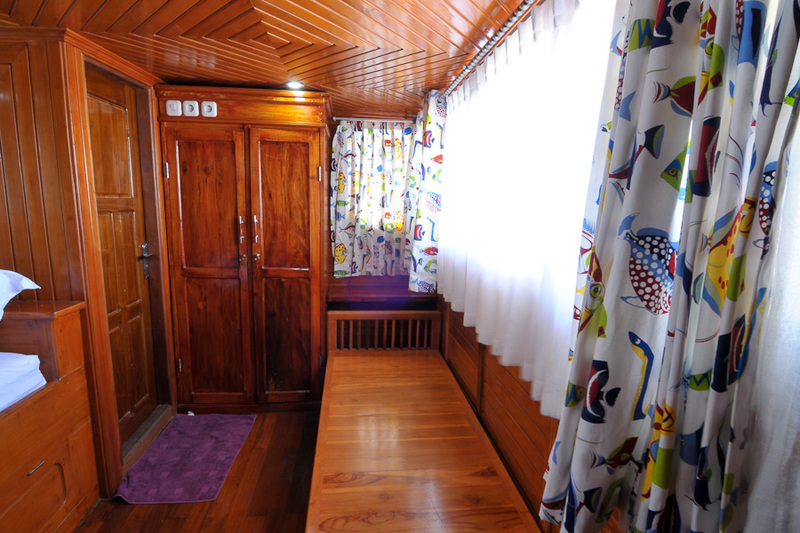 Single supplement surcharge is an extra + 50% from the published price if you wish to have the whole cabin to yourself (non – sharing). 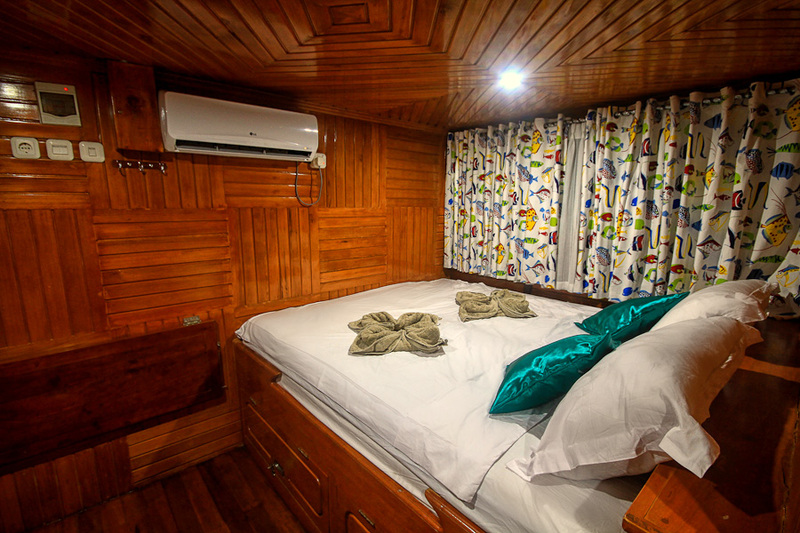 Lady Denok accommodates 12 guests in her 1 Master cabin and 6 Double / Twin cabins, all of which have ensuite private bathroom with portholes, potable hot and cold water and individually controlled air conditioning. Arrival at Sorong Airport ( DOMINIK OSOK AIRPORT ). Welcome on your home for the next days !! Depending on arrival time of our guests , embarking strait for one of the best dive sites of the world South East of Misool. The dive sites here are called, Andys Ultimate, Candy Store, Andiamo Overnight stay close to Yilliet. Daram to Yilliet 15 N/M 2 hours. We arrive early morning at one of the best dive sites in R4 “Magic Mountain”, after Magic Mountain we will dive at Boo Windows and or Nudy Rock and or Whale rock. Overnight stay at Kalig Island. Early morning sail to Wayil Island. 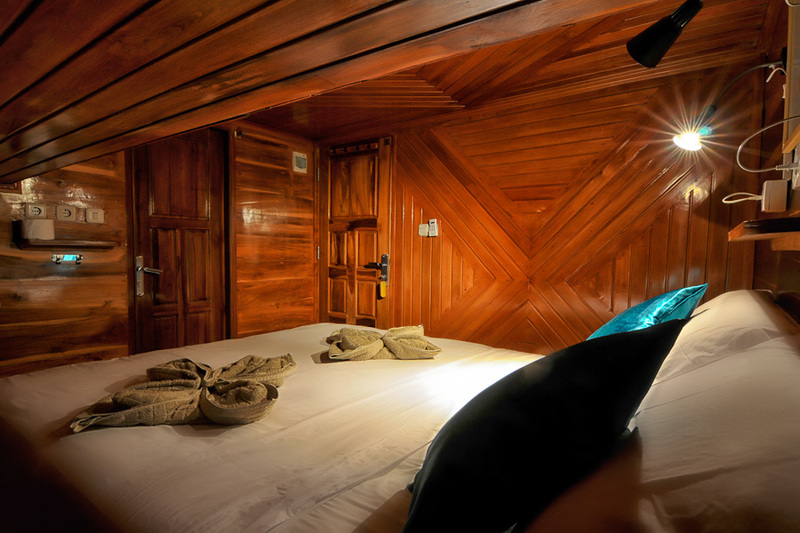 (5 N/M 1 hour) Here we can go to the beach snorkeling or diving at Neptunes Fan Sea. The other dive sites would be Four King, Barracuda, Dunia Kecil or Orange peel. Here we have to find the time to visit the View Point, beautiful with sunrise or sunset. Many dive sites to choose: Melisa’s garden, Barracuda, and My Reef and some more. Eagle Rock one and two, Black Rock, The Maze-Equator, One Tree Island, Reger Rock and many more !! 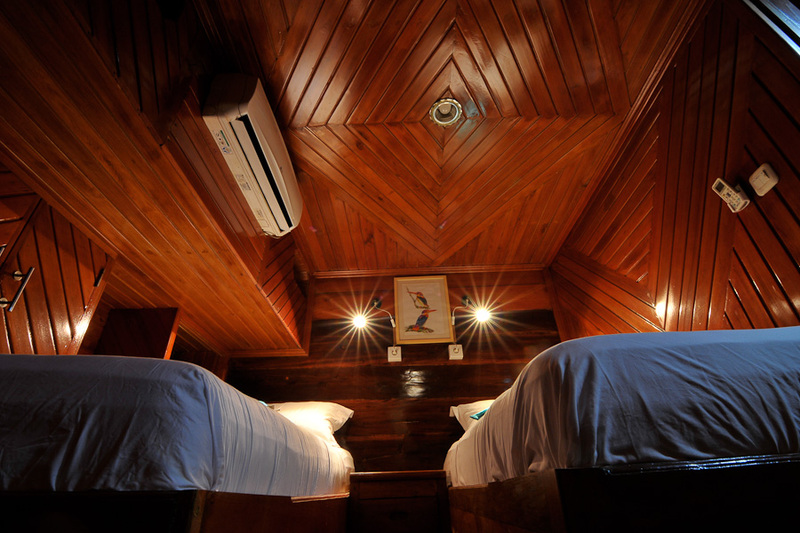 This day we will do the dives we skipped the day before and will overnight stay at Arborek for a night dive. Note: if possible have a night dive! Today just do 2 dives, Cape Kri, Blue Magic and or Mioskon. Arrival early morning In the Harbor of Sorong for departure for your next destination. During a welcome drink we sail to our first destination ‘Sebayor Island’ where we will stay overnight. Check dive in the afternoon with maybe also a night dive. Maybe we will see here the bump headed Parrotfish that mostly swims in schools of 10 to 15 species. Gili Lawa Laut: Here we have several good dive sites named Christal and Castle Rock, and the Lighthouse all filled with a various marine life. Chrystal and Castle Rock with huge schools of Barracuda, Trevaly and Mackerel also Shark, Napoleon and Sweat lips beautiful sea fans and corals. At the Lighthouse we will see pyramid butterfly fish and maybe also octopus. Gili Lawa Darat; now we are on the south side of Gili Lawa Laut and Darat so not far away from yesterdays diving. Here we also have the opportunity to hike up on the hill and enjoy the fabulous few and make some beautiful sunset pictures looking over the island of Komodo. The dive sites in this area are The Golden Passage, the Couldrain and coral garden; here we can see Manta, Reef Shark, Giant Wrasse, Turtle, Giant travaly and “Dogi”Tuna. Today we will sail over Makassar Strait to Batu Balong and Tetawa Besar Thousands of fish in every color and shape at Batu Balong. Wrasse, Unicorn, Moray eel, rainbow runner. Many big fish and good coral diversity can be seen along its steep wall. And in the Makassar strait (drift diving) we can see Manta at there cleaning station which will give us the change to see them more close as we hopefully already saw them at Gili Lawa Darat. Beautiful coral garden at Tetawa Besar with turtle and full with small fish. Pantai Merah to Batu Tiga and Rinca. We will have an early morning dive at Pantai Merah or at Batu tiga, which is a “big fish dive”, Manta, Giant Trevaly, and Reef Shark. And after sail towards “the Dragons” on Rica island. We will arrive in the afternoon at one of the main jumping point for a trip to Komodo other then diving, the Island Rinca, where we will be taken, for a two and a half hour guided track, to see the legendary prehistoric lizard, Komodo dragon. After seeing the Dragons we will drop anchor at “Bat” Island a small island with mangrove forest, it features beautiful panorama and amazing view when thousands of flying fox (bat) come out from their nests at sunset. Departure day; snorkeling and enjoy the beach at pulau Bidadari “or other beach” before your transfer to the airport. Note, the Area Komodo has around 60 dive sites, so if any sugestions on the way we also will consider. Arriving in Ambon and transfer to The Lady Denok. 1 or 2 dives in Ambon bay. Faunus Muck diving (to see the small critters) and a ship wreck. In the night we cruise to Nusa Laut. 3 – 4 dives in Nusa Laut. You will find nice walls with healthy corals and many fish live. (October/November possible to see the schooling Hammerhead sharks). 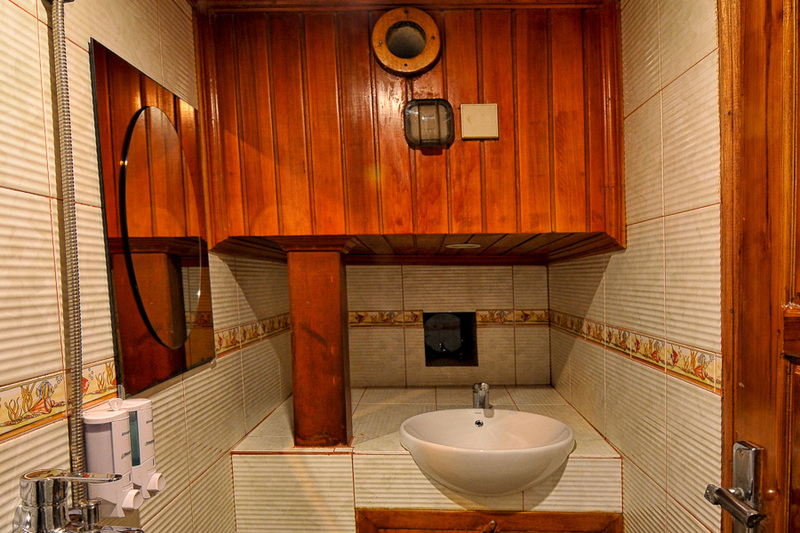 If we do only 2 dives we have time to visit the Fort and the waterfall. During the Night we cruise to the Banda Islands. We arrive at banda in the morning. 2 dives around Banda Neira like Batu Kapal and Pulau. Pisang. In the early morning we will go to Pulau. Hatta and dive there the Hatta Arch, Takat Hatta Reef and Button. We can visit a village there. After this we continue to Pulau. Run. We will dive at Tanjung Noret, Tanjung Lokon and Tj. Pulau Nailaka. We will dive around the Lighthouse Reef, Lawa Flow under the volcano, visit the village Banda Neira and the Benteng (fort). We will do a Night Dive near the harbor on Mandarin City. Departure day. 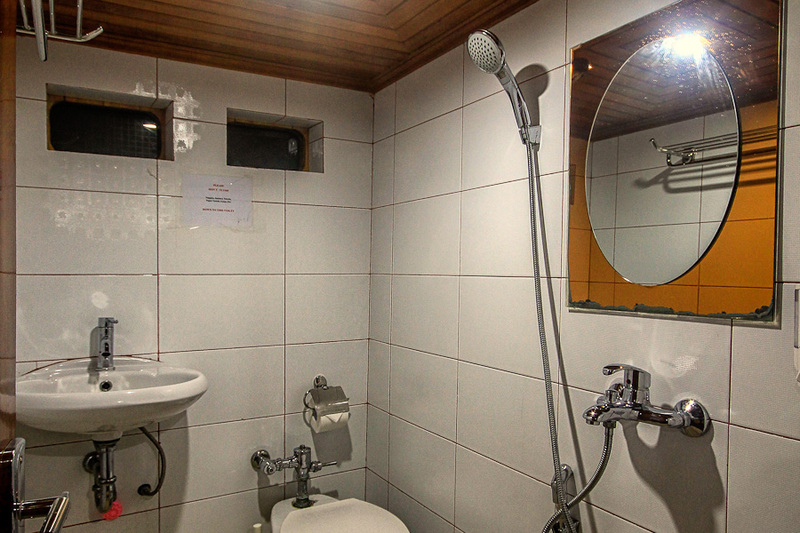 We will transfer you to your accommodation or to the airport to catch your next flight!